It is with great shock and sorrow that the family of the Sweden-based Edward Abonyo Nyambok announces the death of their daughter, Cassie Akinyi, who was stabbed to death on Wednesday, 25th July by her boyfriend, Joseph Ayomo, at Lolwe Estate in Kisumu county. Cassie was 23 years old. Following the sad news, an “Open House” has been established at the residence of Mr Edward Abonyo at Flygkarsvägen 13, Täby daily from 17.00 hrs. A major Harambee will be held at the same address on Saturday, 4th August 2018 from 17.00 hrs. Cassie was a third-year student at Kenyatta University, Nairobi, where she was studying Hospitality and Tourism. Before being stabbed to death, Cassie was allegedly raped by her boyfriend who then stabbed her several times in the stomach and head. 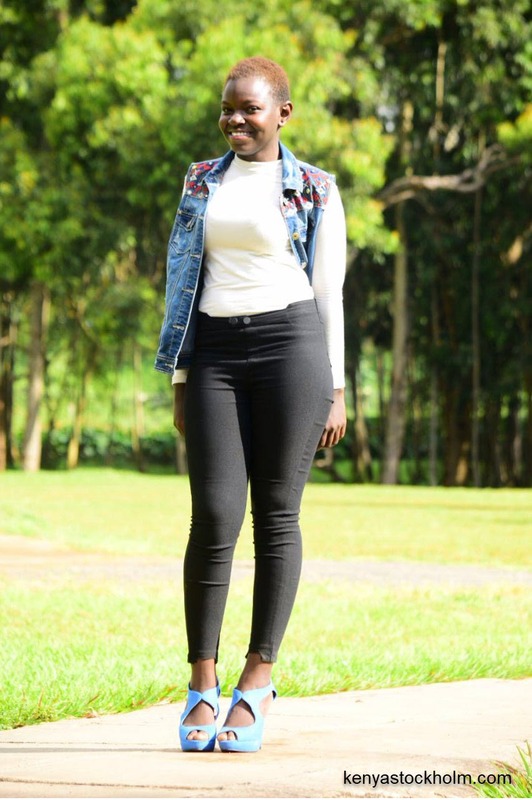 At the time of the murder, Cassie was reportedly living with the boyfriend’s 32-year old half-brother, Evans Otieno, who is currently in critical condition at Victoria Hospital after he was also stabbed several times by the attacker and left for dead. According to OCPD at Kisumu Central, Mr. Meshack Kiptum, the killer stabbed his half-brother immediately after stabbing his girlfriend. The half-brother was out at the time of the incident but when he returned home, he was also stabbed in a surprise attack that saw him sustain multiple injuries. Luckily, he survived the attack although he is reported to be fighting for his life. Police said that the suspect later dumped Cassie’s body in a Toyota car belonging to his injured half-brother. The car was later towed to the Police station as Cassie’s body was transported to the Jaramogi Oginga Odinga Teaching and Referral mortuary. Police has not yet established the motive of the murder. Neighbours reported hearing commotions from the suspect’s house on Tuesday night, but say they were unable to intervene. Back in Stockholm, Cassie’s family has been plunged into deep mourning. To get to the residence, take bus number 629 to Ullan or 604 to Hagness then alight at McDonalds. For messages of condolences or further information, call: 0762162704; 0722996544; 0720376723. Those who would like to show solidarity with the family can Swish funds to: 0762162704. May the young Cassie’s soul rest in eternal peace. Cassie May your gentle soul rest in perfect peace with the Lord. You were taken from us too soon!